Blank jackets ship in 12 business days. 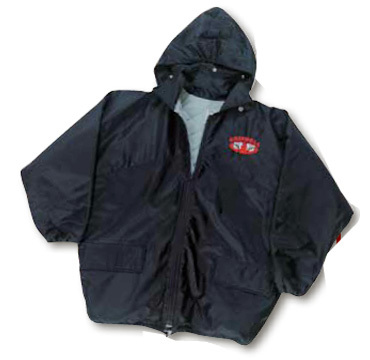 This sideline coat features a byron collar, which can be viewed in the "Collar Styles" tab at the bottom of this page. *To order Youth, add a Y at the end of the style number. Note: Regular size is standard. "Long" (2" longer in the body and 1" longer in sleeve length) are available at 10% EXTRA. "Extra Long" (4" longer in body and 2" longer in sleeve length) are available at 20% EXTRA. 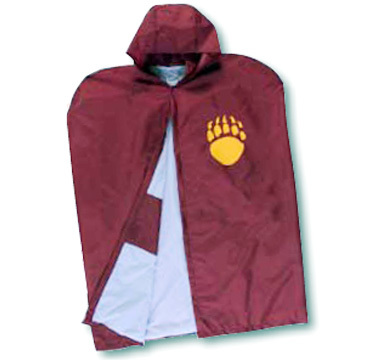 This sideline cape provides an easy solution for students' outdoor needs. *White-56 and Gold-53 hood and sailor collars are standard using fleece fabric. White Wool-W6 and Gold Wool-W3 are optional at no charge. Copyright © 2013 by DeLONG. Supplying the Sporting Goods market for over fifty years.